GBIC, short for Giga Bitrate Interface Converter, is a kind of optical transceiver module used in optical communications. The GBIC transceiver modules are designed to support 1000BASE Gigabit Ethernet and Fibre Channel and other network standards. 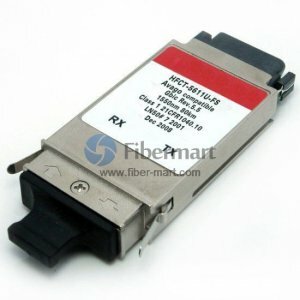 Fiber-Mart manufactures and supplies a complete range of GBIC transceiver modules which can be Customized. In addition, we also provide Compatible GBIC transceivers as alternatives to those branded by Cisco, HP, NETGEAR etc. All our GBIC transceiver modules come with a lifetime advance replacement warranty and are 100% functionally tested.